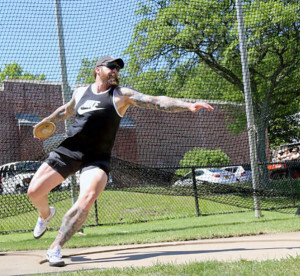 U.S. Army Veteran Sergeant 1st Class Andrew Marr of Argyle, TX practices throwing discus in preparation for competing in the 2016 DOD Warrior Games at the United States Military Academy, West Point, N.Y., June 12, 2016. 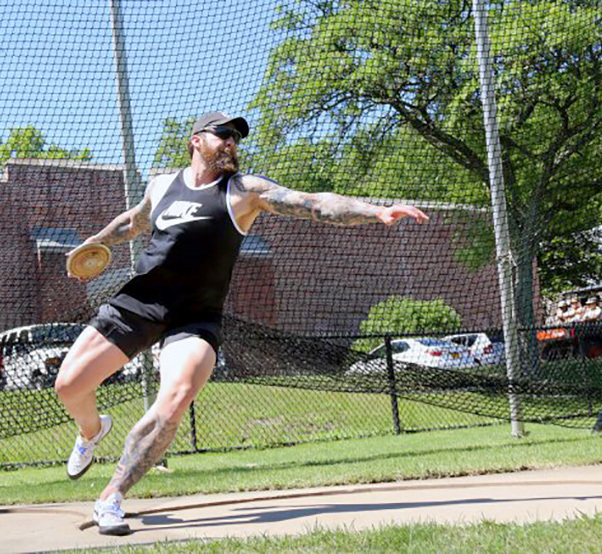 When Andrew Marr left his home of Argyle, Texas, to compete at the 2016 Department of Defense Warrior Games, winning his respective events of discus and shotput was not the first thing on his mind. Marr’s journey toward becoming an inspiration to other wounded warriors began years ago when he suffered a Traumatic Brain Injury (TBI) after receiving enemy 107mm rocket fire during a combat mission in Wardak, Afghanistan. “I came back to and we were in a fight, so there wasn’t really any time to think about it or talk about it,” said Marr. “And it was just part of the job, so I didn’t think much about it after that. Eventually, the symptoms of his injury — memory loss, vision issues, migraines, lost vocabulary, and depression — led him to seek treatment for his TBI. 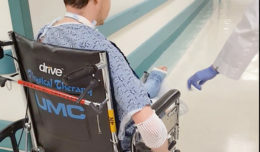 During his journey, Marr says he crossed paths with a neuro-endocrinologist who not only drastically helped improve his condition, but in doing so inspired him to try to help others with the same condition. In March 2015, he created the Warrior Angels Foundation, an organization dedicated to raising funds for the treatment for the condition of TBIs as opposed to simply treating the symptoms. 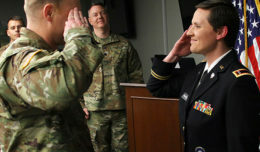 To date, they’ve helped treat 120 combat veterans with TBIs and Post-Traumatic Stress symptoms. “I saw a great opportunity to train for something, to compete for something, but under the banner of hopefully challenging and inspiring others that are in the same or similar positions,” said Marr.